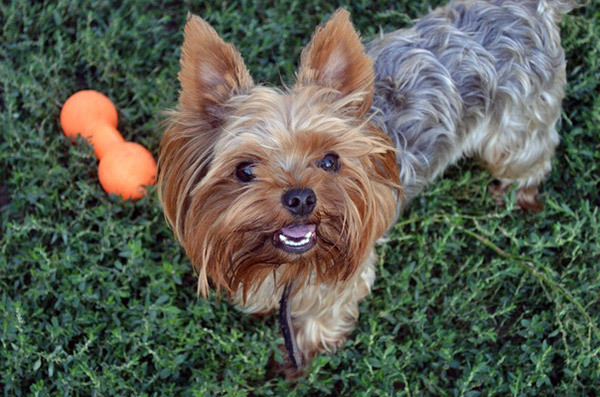 Yorkshire Terrier puppies are great companions that come in small packages. They share a very strong bond with their human family. They are outbound, jolly, gregarious and possess a sense of belonging. Their bark is astonishingly loud for such a small package. But this makes them an excellent watchdog. Moreover, they are always alert and would start barking even at the slightest hint of danger. 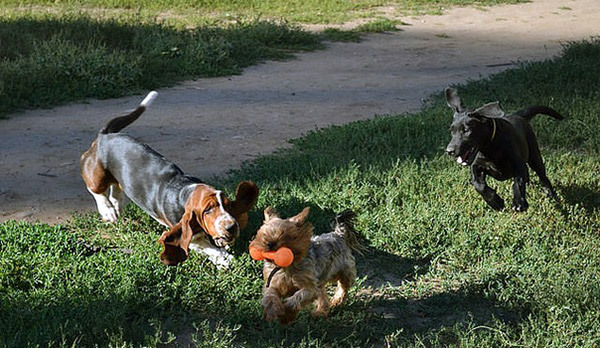 This is why it is important to initialize the socializing training in Yorkshire Terriers at the early stage of their life. With proper training, they have the potential to becoming an indispensable member of the household. The two most important aspect of training a Yorkie is to train it to control excessive barking and toilet training. Because of their cuteness and intelligence, they are favorite among humans. 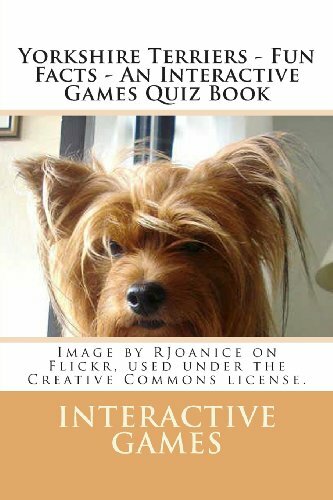 The Yorkshire Terrier can be trained along the lines of the following steps. 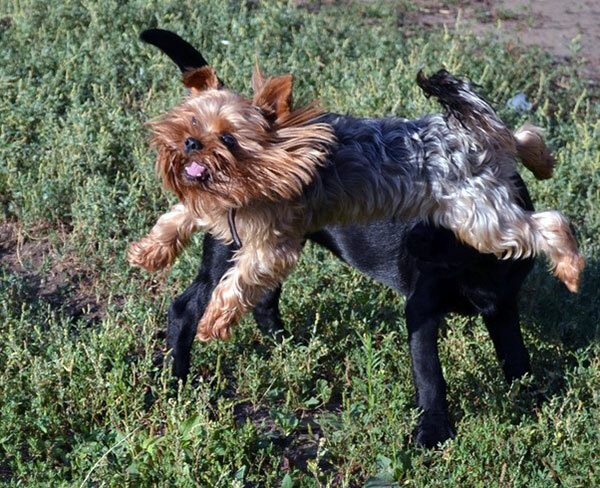 During training your Yorkie, it is important that you be the authoritative figure. It has to know and understand that you are the owner and boss of the dog. You have to show the dog clearly what mischief it is not allowed to do. Yorkshire terriers do not have very long attention span. So train your dog with only one command for one training session. Make sure that the other family members use the same command on the dog. It is better you keep the training sessions short. It is important to make your dog feel wanted and loved. So, when it does a task correctly, do not forget to treat it with a verbal praise and a food treat. It takes time for a Yorkie to get accustomed to a collar. So while choosing a collar, choose a light one and let it get used to the collar for a few days. The collar should not be too loose or tight. You should be able to insert one finger between the dog´s neck and the collar. After the Yorkie is accustomed to the collar, you can put it on a leash. Let the leash be long so that your dog can play around and enjoy. You can also teach it to obey your command “Come” by giving it´s leash a sharp tug. After the dog has learnt to obey this, you can slowly discard the leash. Then it would come back to you just with a verbal command. You can help your dog practice this for a long time so that it is obedient. 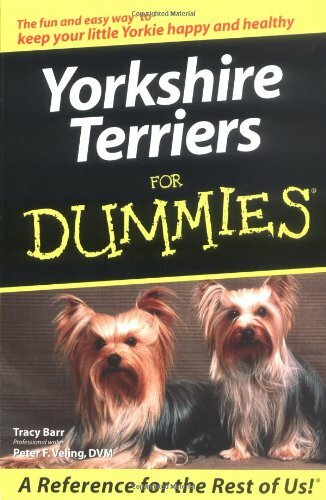 You can also also teach your Yorkshire Terrier to “Stay”. You can position it in a sitting posture in a room and order it to stay with a verbal command. Then you can walk away from it. If it follows you, then it has not yet learnt. But if it stays in the sitting position, you can treat him with verbal praise and snacks. 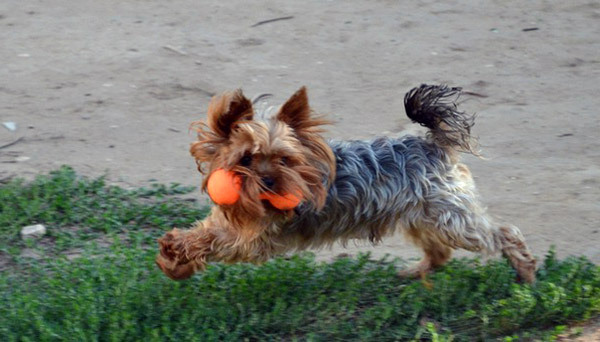 Moreover, it is also important to teach your Yorkie to leave any object. This would train it not to pick up food offered by strangers, foreign objects like shoes, etc. You can teach it to obey the verbal command “Leave it”. 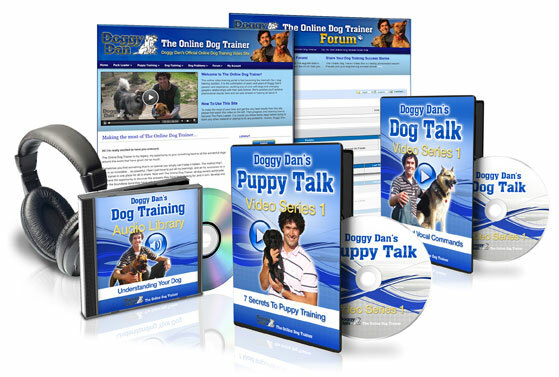 Doggy Dans Online Dog Trainer. The same here, mine will be 3 months next week and he simply won’t listen! Another issue I have is that he won’t use his wee wee pad to go party. He does it on it, only when he feels like it. I was advised not to take him outside until he is 4 months and has all his shots, so I really want him to meanwhile he uses his pads so I won’t have to clean up after him all day. Hi my name is Kayla I have a Yorkie that is about 3 years old.he likes to pee everywhere in the house!! When we have company over he barks and barks !!! I really could use tips from everyone. I am a new mommy to a 7week old yorkie name Mason I must say I am so proud of my baby… he is putting up the potty training on the puppy pad quickly now he goes by his self the key to this is be consisted with your baby, know that at times they are gonna make mistakes but the key is consists and relax and stay calm. Start with crate training once you release your baby from the crate take you baby directly to the pad continue this until your baby pick it up and know where to go a relieve. Hello Mary! 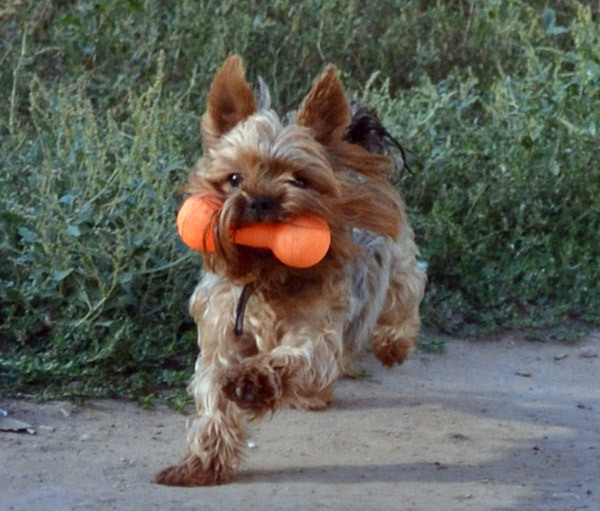 I want to say that this article is awesome, nice written and include good tips about training Yorkies. I have one and she is so cute! Don’t despair they are realy smart dogs and will figure it out. Our first one took almost 8 months to potty train but she also learned how to sit, stay, come, what ” no” meant, and what areas were off limits in our yard at about that same time… I think it is maybe more of an age/maturity thing?? Anyway she tourned out to be the smartest most loyal dog i have ever had.. My one word of advice is remember they are small and vonerable, ours was almost snatched right off our patio by an owl! If you live where there could be preditors like coyotes be aware that you can’t let your dog get out of arms reach BELIEVE ME, and don’t think a fenced yard is safe for your new yorkie… The fence is no protection from coyotes,hawks,owls,etc. So I am a new owner of a 7 week old baby girl named Ruby. My two year old started outside. I took her out about every two hours. Stayed with her until did her business. Stayed consistent. Took about 3 months and she would go out by herself. A treat awaited her after she went. I did install doggie door. Like 35 dollars at home depot. Probably after 4-5. months she was on ger own, no problems( until raining season) but sun comes out and she good again. 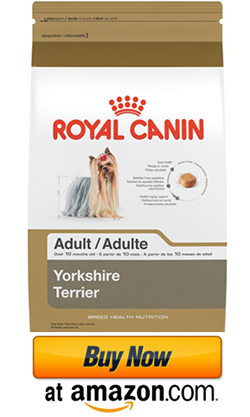 Hi my yortshire is 5 years old a old lady own him and how I have him I fine he will not eat dog food he wants what wee have and he looks very thin he weights 5 pound 6 oz is this under weight for this age of dog . Hi I have a Yorkie who’s aboud 7 years old I have no plan to train her awesome tricks but at least one thing i want her to teach in to wee wee in proper places like NOT everywhere in the house, also when I go to the park together with my dog actually the reason why we are there is to jog with her the problem is, she won’t jog with me she kept on peeing for every 10 steps is it because she’s already old to jog? please help..
Hi everyone, I have a Tea cup Yorkie she is a doll. I love her so much. She is a sweety , however she definitely has a mind of her own and she still has accidents every now and again. She does go on piddle pads though. She is definitely a barker too. It’ll take time for hwr to be totally house broken. Especially because i have a very hard time getting mad at her cuz she is so freaking cute!!!! Lol hang in there. Hi, I have a five year old Yorkie and I trained her in one week. She has not had one accident in five years. I have some real issues with this article beginning with letting them know you are boss (alpha dog) what a crock, my baby decided I was boss on her own. 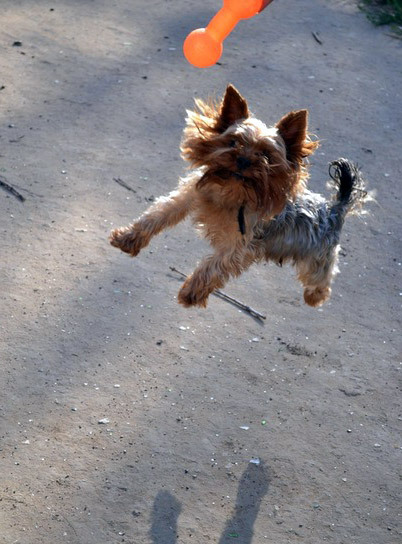 Also, don’t ever use a leash without a harness on a Yorkie – their necks are too small. I trained my Yorkie by doing the following: I took her out every hour for the first few days (during the day) whether she needed to go or not – always thru the same door. At night I took her out right before I crated her – again the same door. Then set my alarm for half way thru the night and woke her before she did on her own and took her out – thru the same door, then immediately back to bed. I did this consistently with lots of positive reinforcement for an entire week and it worked wonderfully. I stayed home with her the entire week. It only takes a week if you are consistent and it was well worth it. I crated her for the next two months if we were going to be away from home but after that she had free rein of our home (and I have some imported carpets…). We never use her crate, except when in a vehicle for her safety. She let’s us know when she needs to go out whether at home or somewhere else. She is a wonderful dog. Another thing – please don’t use pee pads and then complain if they pee on your rugs – they look the same to a dog. I have never used them but I have a friend that does, and this is an ongoing problem with her dogs. As for barking, turn your back on them and don’t acknowledge them until they stop – this will put a stop to that quick enough. Our’s only barks if someone comes to our door (which I want her to do) or when we are playing rough. My yorkie is almost two. She is really well behave in areas that I was dead serious about like going to bed in a crate, not barking in a hotel room, being an excellent traveler in the car. Etc. Also does very good at housetraining. However she begs for food and doesn’t come when called. She isnt easy to train new tricks to cuz she barks at me to just get treat without the treat. Guess what you’re seeing is that if you are serious, they are serious. Eric is 7 months old..hes good on going to use the bathroom outside he is kettle train to sleep only in it..but he cant b let loose cause hell squat n pee..his barking is so fustrating at times..we love him so much but he just dont get it at times wat is told to him tho we use the same commands..
My teacup is 2 years old, and I love her to death. 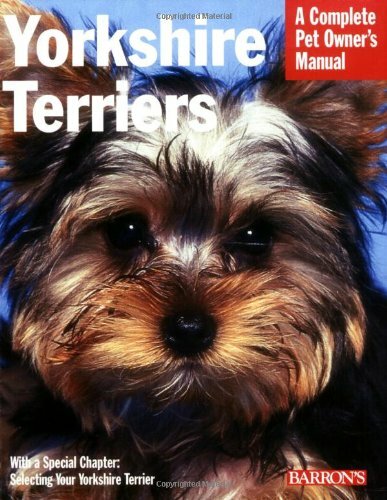 There is a wonderful article about Yorkies, and how they are bloody bad….but oh so much fun…they really think that they are Rottweilers.